What do you need to know before buying a brand new home? Learn the steps it takes to buy a new home in Marbella & what to expect along the way. If you’re the kind of buyer who wants to be the first occupant and wants the hassle-free ownership that comes with buying a new property, new construction may be for you. When it comes to choosing a brand new home there are countless variables to consider before making a decision. 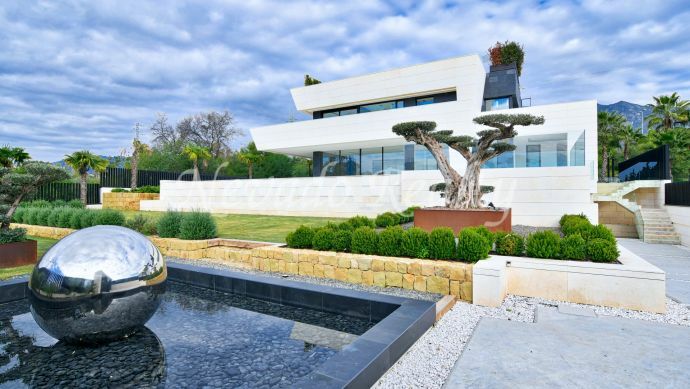 Benefits of buying new build villa for sale in Marbella include obtaining the very highest quality finishes, contemporary architecture and exquisite interior design with all manner of luxurious features. Often buyers are able to tailor the property to their personal taste with hand-picked fixtures and fittings when buying off plans, such as adding a rooftop jacuzzi, installing an extra large garage or an indoor heated pool for example. Being the first owner of a home means that you usually get to pick out many of the features. New homes offer some amazing advantages over older homes. Knowing these advantages will confirm that you are making the best decision when you buy a brand new home. New homes provide a care-free lifestyle so that you can enjoy your home, not work on it. Most newly constructed homes have floor plans that work well with today’s busy lifestyles. Brand new homes often have very open floor plans or at least a great room concept. This is usually preferable to the small blockish rooms that are found in many older homes. Kitchens with large bar areas leading out to a living area are a mainstay of new builds, instead of the tight galleys or closed off kitchens that flow poorly in pre-existing homes. Like this under construction villa in Marbella with amazing views to the sea and the mountain La Concha, consisting of 3 floors plus roof terrace, located in Altos de Puente Romano, one of the most exclusive residential areas in Marbella with 24 hours surveillance guard in gatehouse in the complex entrance, in the heart of the Golden Mile and within a short drive to the city centre, Puerto Banus and the beach. Some of the most desirable areas to buy a brand new home in Marbella and the Costa del Sol include, Estepona, Benahavis, Nueva Andalucía, the famous Golden Mile and La Zagaleta, one of Europe’s most prestigious urbanizations. Strategically located to offer panoramic sea views and plenty of privacy, yet within easy reach of amenities, golf courses, and the beach, the gated communities in these areas benefit from the 24-hour security and often property management services which make them the ideal lock-up-and-go second residence. Residents may enjoy complete peace of mind both when at home and away from their property. 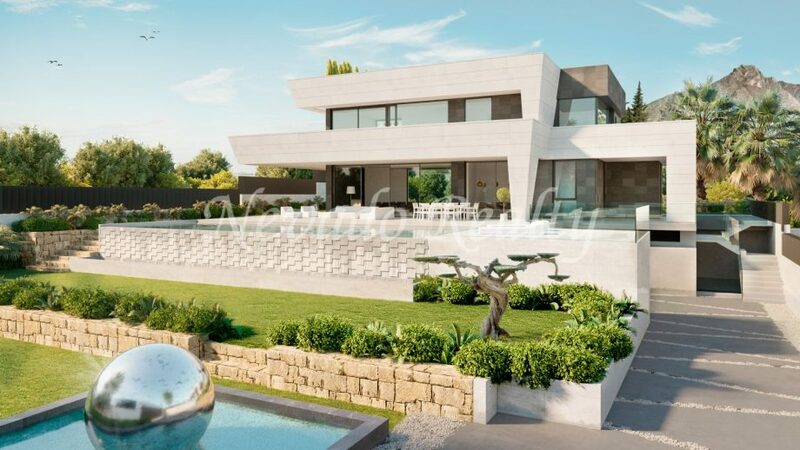 Buy a brand new home in the Costa del Sol is a very tempting opportunity for those seeking an enviable lifestyle property and the best option for the discerning buyer who is unwilling to compromise on quality, the latest property design features, technology, and comfort. If this describes you, and you have always fantasized about buying a brand new home of your dreams, contact Nevado team to make the process a pleasant experience. 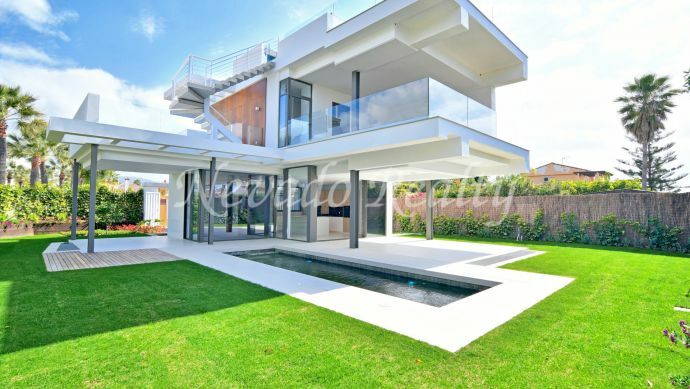 Nevado Realty offers you a new, contemporary and exciting way of living in the most wanted and exclusive location of Marbella. 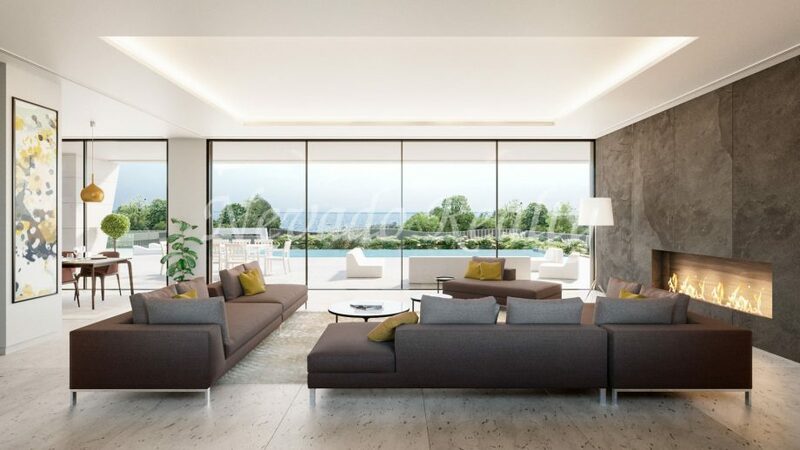 Fantastic range of new developments in Marbella, including exceptionally high standard new build properties situated in gated communities with excellent facilities.